Give your entryway a dose of coastal beauty with the Cottage Storage Bench. 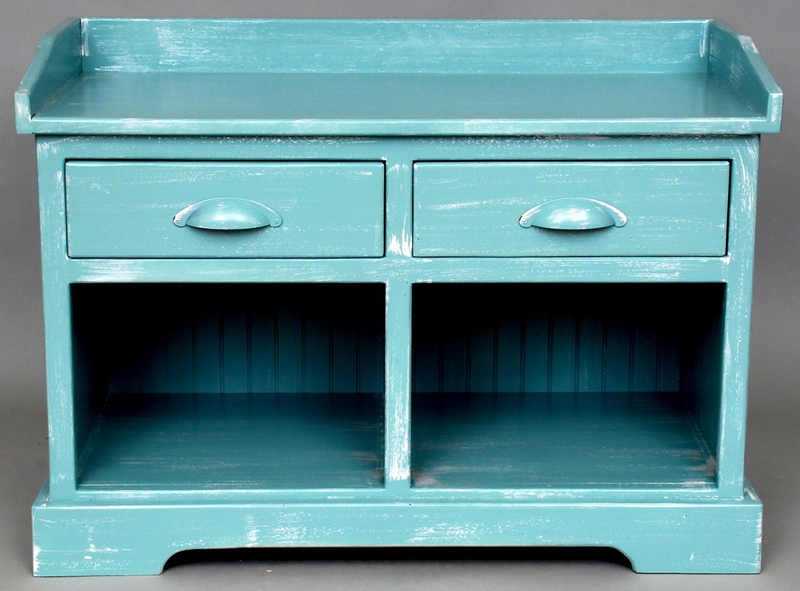 This bench features both seating and storage in a weathered turquoise finish. Ships from the manufacturer. Allow 6 to 8 weeks. Cannot express ship this beach style furniture. For even more offerings, we ask you to spend some time to check out our whole array of beach style benches at Bella Coastal Decor now.